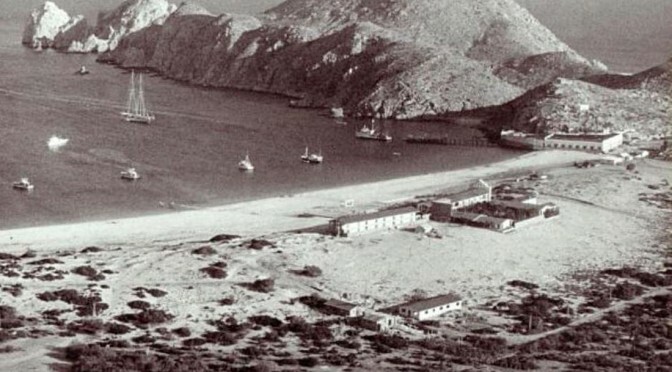 “Here is a picture of Cabo when the only hotel on the beach was the Hacienda Hotel, gone now. You can see that the Marina was not yet dug. The picture was among my parents effects and is dated on the back “1966”. 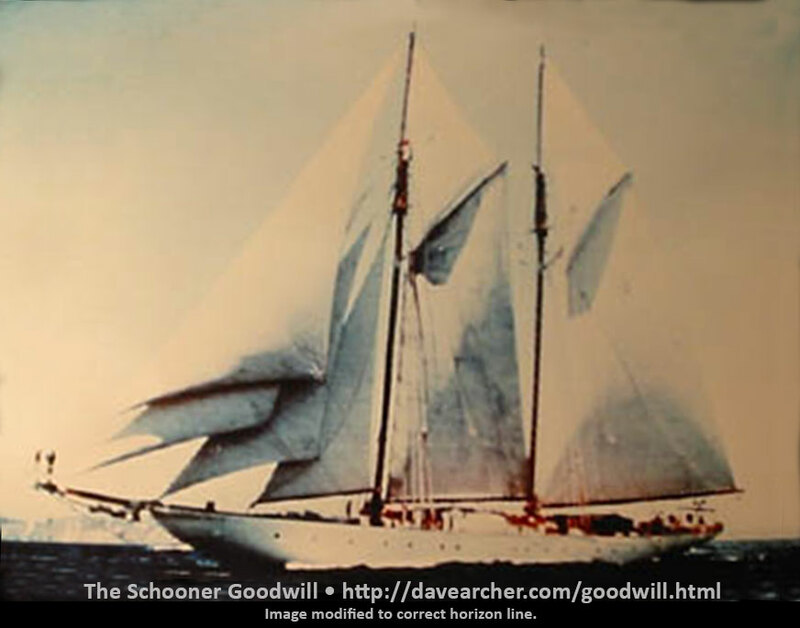 The large sailing vessel in the harbor is the “Goodwill”, wrecked years later on the rocks near Ensenada with the loss of all hands on board, while returning to Newport Beach, CA. 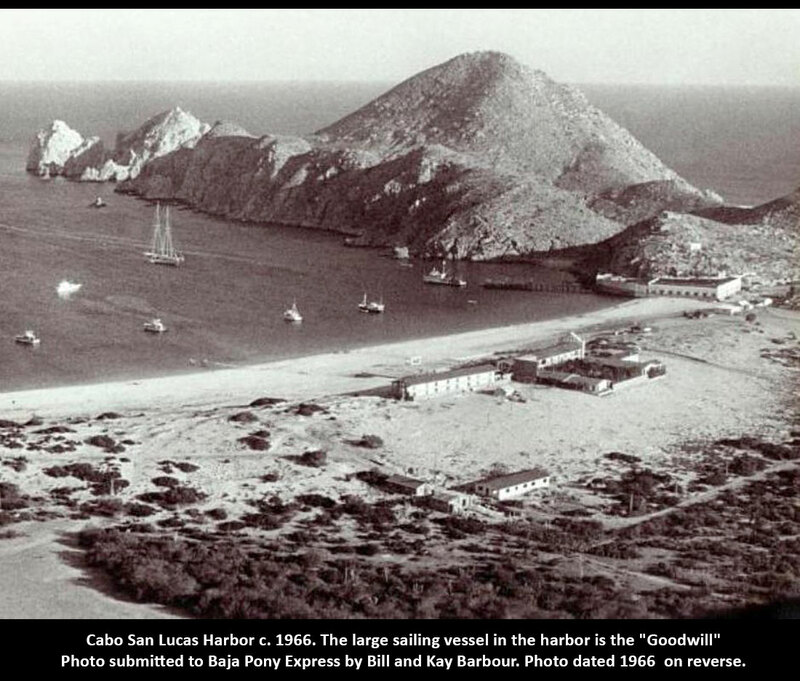 Cabo San Lucas Harbor. Baja Pony Express: PICTURE OF THE DAY sent in by Bill and Kay Barbour – dated on reverse 1966. The tuna cannery is on the right side of the photo. On the hill near the beach is the Hotel Hacienda Beach Resort (right, center of photo). Caption on bottom added by this site. Photo used with permission of Bill and Kay Barbour. Another source indicates the date of this image as May 1965. The date of 1965 in the heading is not relevant to this image.